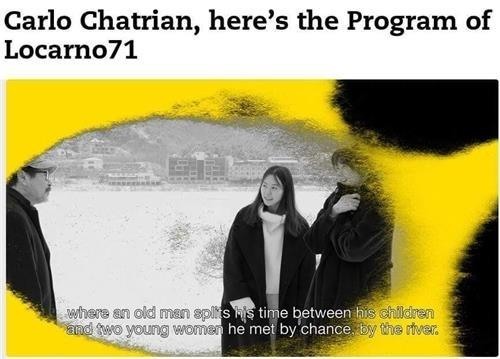 Korean auteur Hong Sang-soo's latest film "Hotel by the River" will compete in this year's Locarno International Film Festival in Switzerland, organizers said Thursday. The festival announced a line-up of 15 features competing in its 71st edition. "Hotel by the River" is the 23rd feature from Hong and the director's sixth film starring his muse and lover Kim Min-hee. The black-and-white film depicts what happens to a middle-aged man when he meets his child and two young women by a river. "Right Now, Wrong Then." The same film also earned its male lead Jung Jae-young the Best Actor prize.